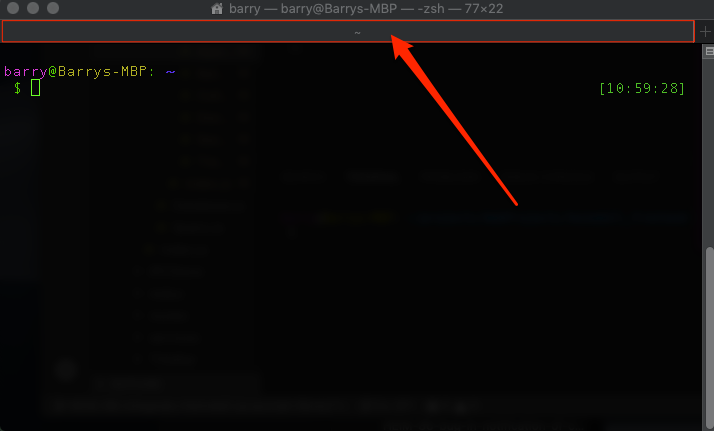 There's a bar under the title bar of the Mac terminal showing the path the terminal is open at. I'm pretty sure this has recently appeared and I'd like to removed it. Is there a way? This is the tab bar (note the plus icon on the right to open a new tab). As long as you only have one tab open in a Terminal window, you should be able to hide it by selecting "Hide Tab Bar" from the "View" menu. Not the answer you're looking for? Browse other questions tagged macbook terminal . How can I open terminal windows in different desktops? Seamless title bar and terminal background? How to remove white side bar in terminal app?